Automation, digitization and operational and managerial information on the factory floor are often the key enablers to creating more flexibility and versatility in the manufacturing processes of our customers. Today, smart devices are applied in production machines, transportation and logistics and warehousing applications, just to name a few. 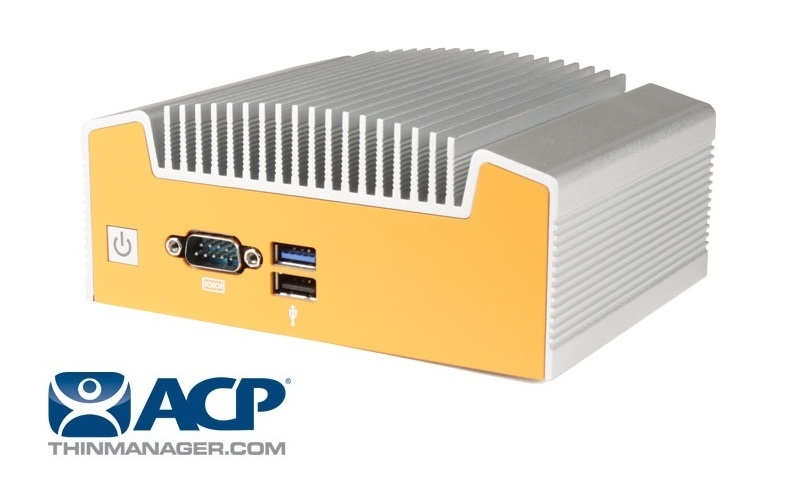 Thin clients are the most cost effective of these solutions and our strategic partnership with ACP allows us to seamlessly service our manufacturing customers with reliable, easy to install and simple to maintain hardware. But why have thin clients become the go-to solution for so many manufacturers, and what does the future hold for the manufacturing sector as it begins to embrace the Industrial Internet of Things and the concepts of Industry 4.0? Particularly in the EU, the needs of the ACP distributors vary substantially because of their diverse activities and revenue models. To try and stay ahead of client demand, we have created an annual survey in which we validate the needs of the European ACP distributors and match them with our products, services and support. Additionally, we work closely with Rob Stew, ACP Regional Sales Manager Europe, to effectively advise our customers on thin client projects and help troubleshoot any issues during implementation. Our customers often work with the most modern production and logistic planning methods (JIT, KanBan, LEAN, etc.). As their Hardware business partner we need to ensure that their tightly organised processes don’t get interrupted due to computing hardware issues. Response time, lead time and a dedicated proactive and responsive account manager are all of the highest value to our ACP channel. We strive to answer questions the same business day and have all hardware in stock. Our ThinManager® Ready hardware has already been tested by ACP, so bottlenecks are very unlikely to occur during implementation. In our upcoming survey among distributors and system integrators we’ll be evaluating our current relationships and hope to define new ones. If you want to be part of the survey and/or become part of our ACP channel in the EU, please contact us at info@logicsupply.eu. To get a more in depth view on Industry 4.0 and the Thin Client management software industry, please see the latest blog post from our Director of Technology, Fred Buining; Thin Clients: A Stepping Stone Toward Industry 4.0.